Posted: Saturday, July 21, 2018. 11:34 am CST. By BBN Staff: On July 12, Heritage Bank made history when it became the first bank to open its doors to the residents of Santa Elena town. At the historic opening, it was also announced that Heritage Bank is planning to open a branch in Spanish Lookout, Cayo. Spanish Lookout boasts booming economic activity and commerce with grocery, hardware, auto part stores and the best ice-cream in Belize. The bank did not inform of a definitive date to open the branch, but informed that works had begun. The bank will be located at the same building where the Scotia Bank, Spanish Lookout branch was. Scotia Bank closed its Spanish Lookout branch on April 20, 2018. Heritage Bank is the first owned and operated Belizean bank. Heritage bank is also the first to launch cell phone banking, and also the first bank to collaborate and work with all credit unions for the usage of their ATM machines. 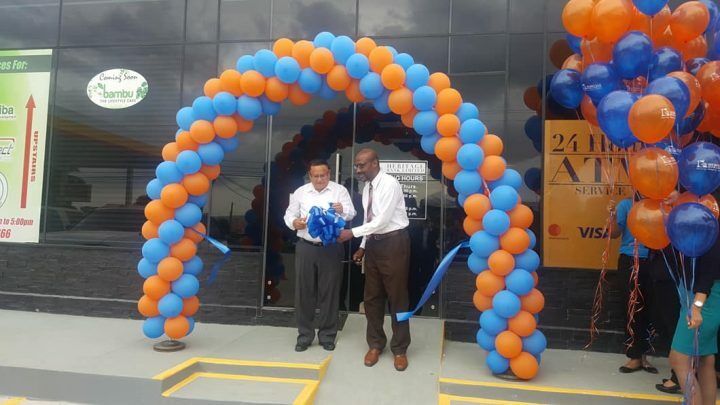 Heritage Bank boasts 17 years of service to Belizeans. A Heritage Bank card can be used at more than 300 locations countrywide.